It’s pretty common legal advice not to apologize after a car wreck (at least in America), since it might allow insurance adjusters to assign blame. But either that advice doesn’t apply to Prince Philip or he says to hell with all that. 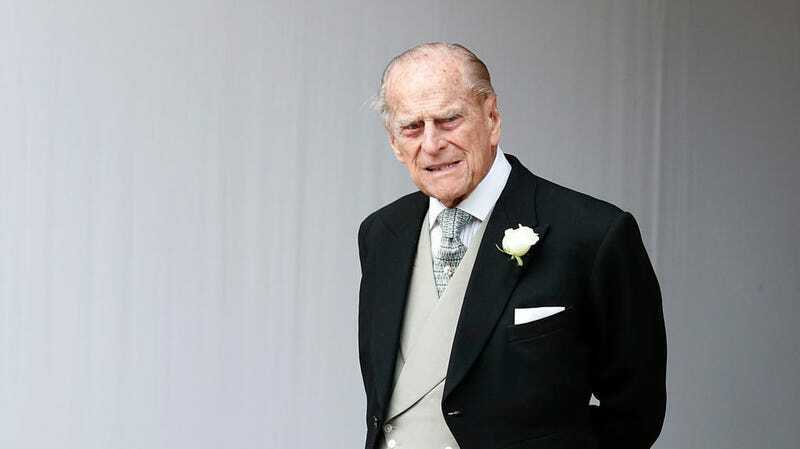 Emma Fairweather broke her wrist when the Duke of Edinburgh hit the minivan she was a passenger in with his armor-plated Land Rover at an intersection near Sandringham House. Six days after the crash, she received a letter from Prince Philip saying he’s “deeply sorry” about both the broken wrist and his part in the accident. A nine-month old child in the minivan was unharmed, and the driver sustained cuts to her knees. Prince Philip is still driving.